the most treasured gifts they'll ever receive? YouSpreadLove.com is a place where you, your family, friends and special people you invite can send messages of love and appreciation to somebody important in your life in a deeper more meaningful way than ever before. 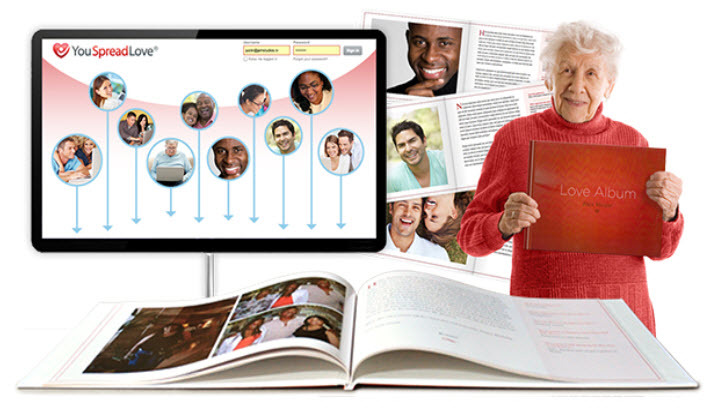 It's an easy and fun way to quickly gather individual messages and photos containing heartfelt messages of love and appreciation. Then simply turn these messages and pictures into a beautiful hard bound book to present the person's special day. And, the good news... the whole process is in a simple, automated, social media style environment making it very easy to use. You can send a message from just yourself (although it's really best with a minimum of 5 people) or invite as many as 250 people to join you in sending their individual messages of love and appreciation. like to present a LoveAlbum® to. their photos and special message. the contributions into a beautiful LoveAlbum®. the love and appreciation of all involved to the special person. Creating A LoveAlbum® For A Special Occasion. It's your best friend's wedding and you decide to give the bride and groom a wedding gift you know they will treasure forever. You log into YouSpreadLove.com and quickly create a new project called "Ann and Brad's Wedding." With just a few clicks you invite all your family, friends and the people that know the bride and groom to participate in sending their own special message and pictures. You can even ask for suggestions on people you might not have thought of or know how to contact. And, all the prompts and social media aspects make it extremely easy and fun to write meaningful and powerful messages of love and appreciation, even if you're not a good writer. All your family and friends can even message between each other and ask questions to get ideas on what to write. 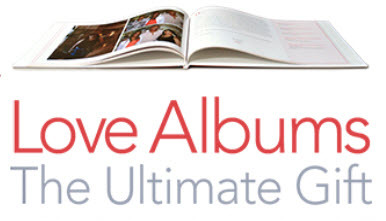 Over the next few weeks you receive messages and pictures of love and appreciation from those you invited, all of which can be approved by you before going into the LoveAlbum®. Once all the messages are in, with just one click all the pictures and messages are combined into a beautiful hard bound book that you can present to the bride and groom on their special day. Your new LoveAlbum® can also be used as a great alternative wedding guest book. Sections could also be read by the best man, and both sides of the family get to know each other before the wedding making a much nicer event. And of course, your best friend gets the best wedding gift ever Chock full of love and appreciation! a gift that will be truly treasured forever! ©2019 You Spread Love. All Rights Reserved.